For more than 30 years, Shaver has dedicated her life to sea turtle conservation and recovery at Padre Island National Seashore. She serves as the chief of sea turtle science and recovery. On Friday, the International Sea Turtle Society gave Shaver its Lifetime Achievement Award. Like a mother to the endangered species, Shaver has created a bond with them. From sleeping in a cot in the turtle lab listening for hatching to placing the little fighters on the sand to watch them make their debut into the ocean, she savors every moment. Since she began volunteering, Shaver has been focused on saving the Kemp’s ridley species. Sea turtle nesting season is from April to September of each year. “It’s the most endangered sea turtle species in the world. So if it takes a few extra hours at night, if it’s convenient, it’s worth it,” she said. For Shaver, releasing the sea turtles on the beach is like dropping off children at school for the first time. 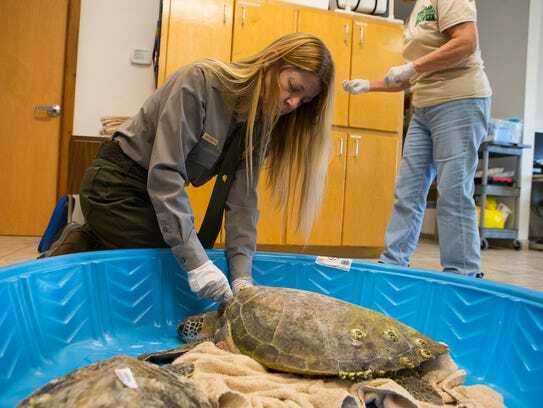 According to a news release, Shaver began her work with sea turtles as a Student Conservation Association volunteer at Padre Island National Seashore in 1980. She was a member of the team that conducted the Kemp’s Ridley Head-starting and Imprinting Project from 1978 to 1988. 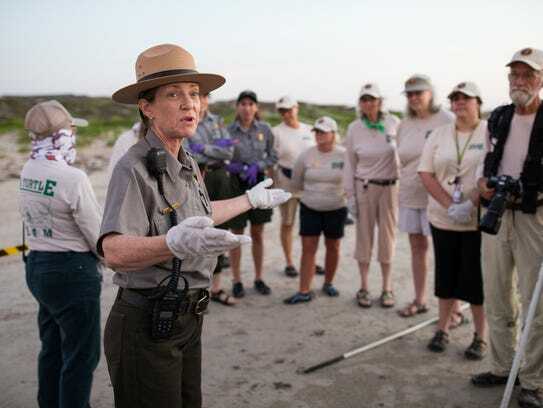 Shaver joined the National Park Service as a park technician at Padre Island National Seashore during the summers of 1981 to 1984 and became a permanent employee in 1985. By 1986, she was leading the park’s sea turtle conservation efforts. The National Park Service also will celebrate 40 years with the Kemp’s Ridley Sea Turtle Restoration and Enhancement Program. The Lifetime Achievement Award was officially presented at an International Sea Turtle Symposium in Kobe, Japan on Friday. Dr. David Owens, Shaver’s former professor from Texas A&M, accepted the award on her behalf.